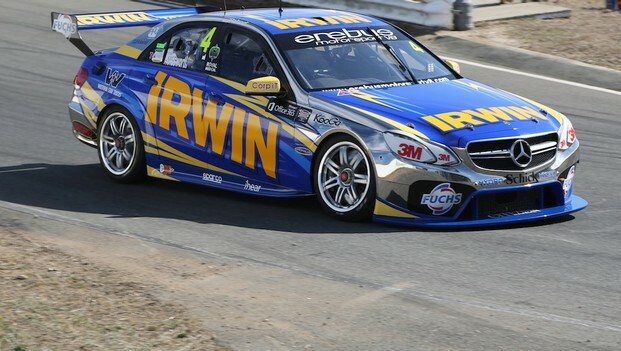 Though IRWIN Racing’s Lee Holdsworth’s Mercedes-Benz AMG E63 V8 Supercar sat in thegarage for the majority of Practice One, the 30-year old is hoping to qualifyin the top half of the field today. The goal is to comeaway from this weekend's Tasmania Microsoft Office 365 with a straight car, learn some more and see an improvement across the weekend. “We’re only trying totake baby steps at the moment, and not big chunks of time, because you can loseyour way pretty easily in this sport,” Holdsworth said after practice. Throughoutyesterday’s sessions, the car improved and Holdsworth ended the day 15th fastest – a result he was happy with. “At the moment I’m very pleased – we’remaking gains every time we hit the track, which is our goal,” he said. Early on the car struggled with an“electric gremlin” the team couldn’t fix until after the first session, leavingthe Mercedes in the garage after completing just one lap. Holdsworth has accepted there will beteething problems with his new vehicle, and stayed positive about theelectrical issue, saying he would rather be affected during the practicesession than one of the weekend’s races. 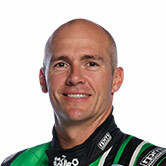 With Symmons Plains being a high horsepowertrack, Holdsworth didn’t have high expectations for the weekend. “We thoughtthis was going to be our big downfall, but we were surprisingly pleased. Looking to the near future, Holdsworth hassaid the tight turnaround to the New Zealand event next weekend was a bit of anegative for the team – though as a driver, it means staying in the zone. “We’re waiting on some upgrades for theengine so I guess (the turnaround) is a negative – we don’t have time to doanything between the two rounds. “But then for me and other two guys, Tim (Slade)and Maro (Engel), it’s a positive because we can jump straight back in nextweekend and we know what we need to change already. We’ve got the feel of thecar and don’t need to do laps to get used to it again. The V8 Supercars have a fourth practicesession this morning at 9.30am, before qualifying at 11.50am and Race Three ofthe Championship at 2.45pm.